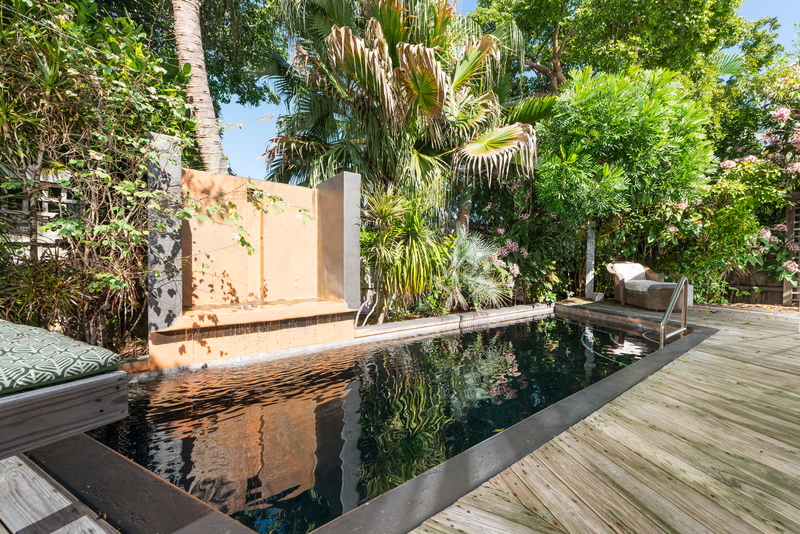 1315 Eliza Street, Key West, Florida—SOLD $1,070,000. We love the home’s contemporary open plan living. 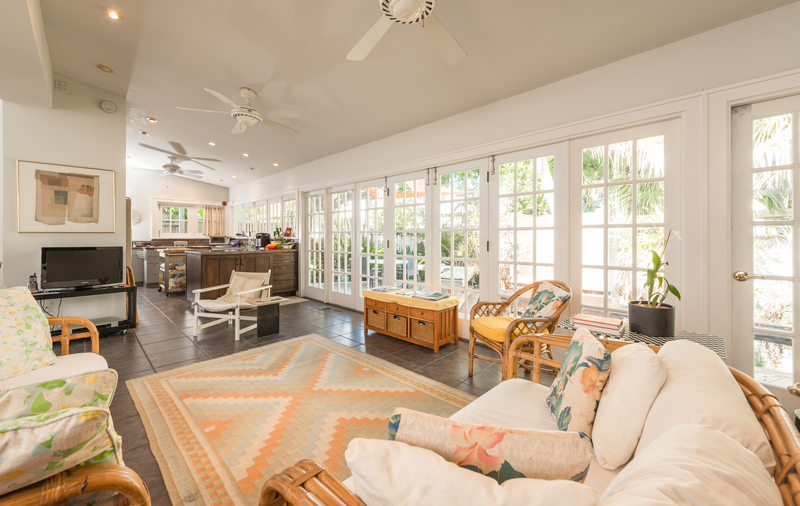 Key West’s historic homes were built to stay as cool as possible during our long tropical summers. 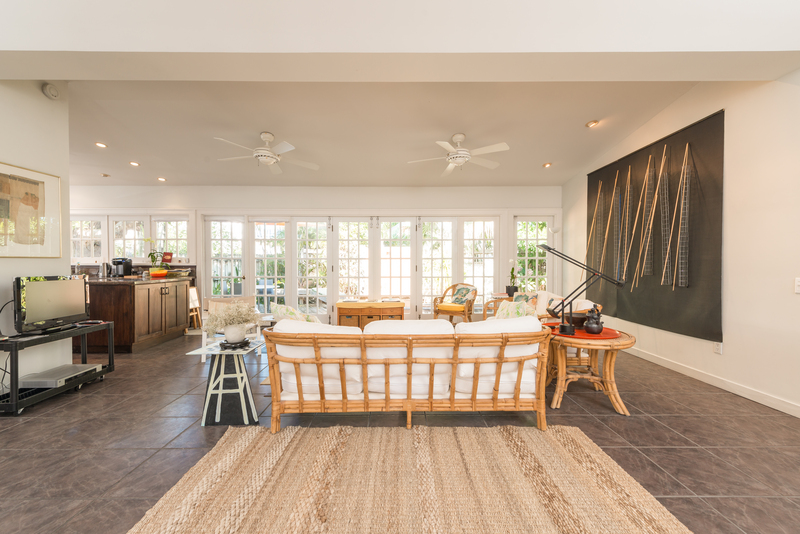 Designed with lots of windows to capture cooling ocean breezes, the island’s homes are typically short on wall space—presenting a real challenge for art collectors like us. The spacious 2,560 square foot home, at 1315 Eliza Street in Old Town, is an art lover’s dream. Bathed in natural light while featuring plentiful wall space for displaying art, the home breaks the typical Key West mold. We would go crazy—and most likely broke—filling the inviting walls with one-of-a-kind treasures. The light-filled chef’s kitchen looks out to the pool and garden. We love the contemporary feel of this beautifully renovated home. Two traditional Key West shotgun houses were joined together by a generous light-filled addition that embraces modern open plan living. The living room features a dramatic wall of glass doors opening to the sparkling pool nestled in the tropical backyard. 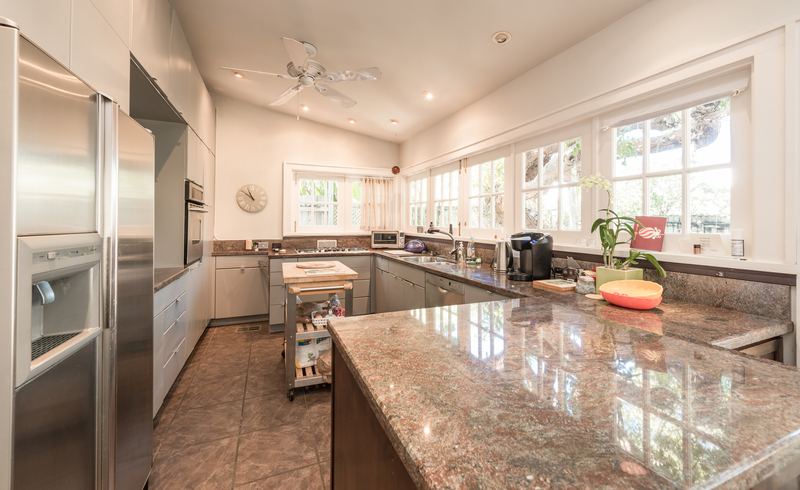 The large updated kitchen—sporting stainless steel appliances, granite countertops, and views of the garden—is a chef’s dream. The pool and water feature are divine. Half of the desirable split floorplan features a ground floor master suite, outdoor shower, gallery, sitting room, and an upstairs guestroom and office. Along with separately accessed guest quarters/artist’s studio, a sunny guestroom and bath balance the other side of the well-designed home. Featured in Leslie Linsley’s gorgeous coffee table book, Key West: A Tropical Lifestyle (Our go-to gift for clients!) 1315 Eliza Street has a long history as an art-filled corner of paradise. We love this extraordinary home. Click here to enjoy a virtual tour of this wonderful home. This entry was posted in Homes We Love and tagged art collecting, cottage style, homes, Key West, Key West cottage style, Old Key West, Old Town, pools on February 23, 2015 by Dean.